Bhandardara is a mini-hill station, nestled in the Sahayadri mountain ranges, and is a lesser known holiday destination near Mumbai and Pune. Bhandardara is full of naturally beautiful sights, and has a peaceful ambiance. It is surrounded by towering hills in the background and lush greenery. During the monsoon and winter season, Bhandardaraexudes a colorful symphony, and is home to diverse flora and fauna. Bhandardara sits by the Pravara River, and according to a local legend, sage Agastya meditated here for a year. Pleased with his penance, the Gods blessed him with a stream of river Ganga, now known as river Pravara. Furthermore there are a number of tourist attractions that awaits travelers like a serene, calming lake, enveloped in the embrace of a dam, waterfalls, forts, valley and much more. 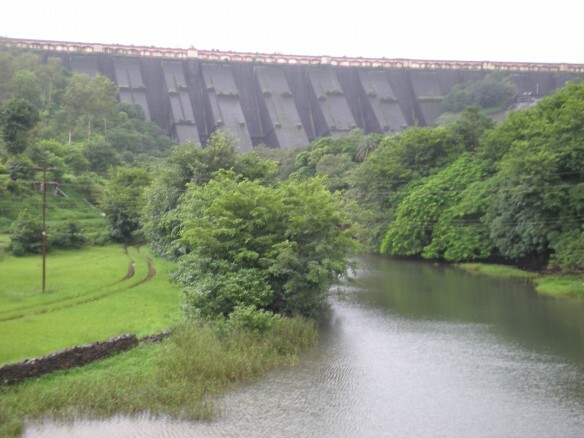 The Bhandardara Lake, also known as the Arthur Lake was created in 1910, when the Wilson dam was built across the Pravara River. The lake is 34 km long and serves as a reservoir for the Wilson Dam. 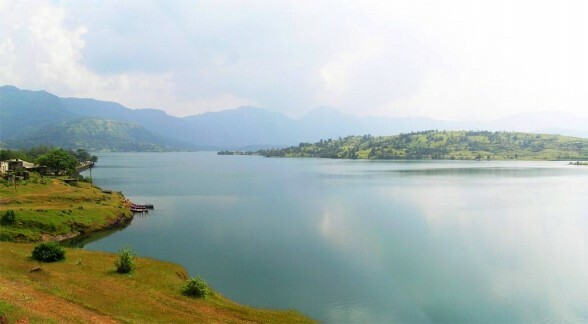 The lake is situated in the middle of dense green forest and is the most visited tourist spots in Bhandardara and is an ideal place for nature lovers. During sunset the beauty of the place compels travelers to enjoy a pleasant and memorable walk around the lake. The Wilson dam was built in 1910 across the river Pravara. It is situated at a height of 150 m above sea level and is one of the oldest dams in the country. The opening of the sluice gates creates two 60 to 80 feet cascades of water that plummet to the rocks below. It’s a spectacular view and attracts many tourists. Tourists can enjoy some qualitytime in the circular garden located at the base of the dam. The beautiful garden comprises thick greenery, streams and gigantic trees and is home to hundreds of fruit bats. Itis one of the most peaceful picnic spots with nature and greenery around. 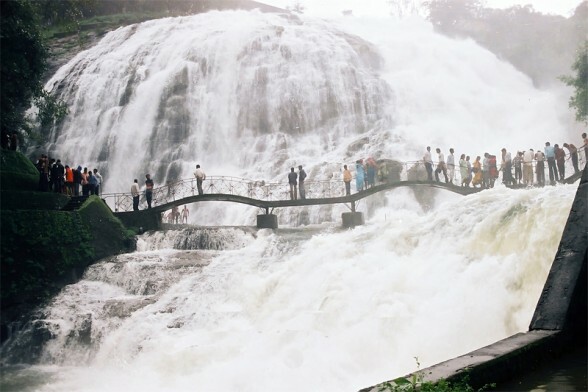 One of the major attractions of Bhandardara is the Randha waterfall, which is located at about 11 km down from Wilson dam, and is also a good place to visit during monsoon. The roaring River Pravara descends down from a height of 170 feet into a beautiful gorge and produces hydro-power. The breathtaking view of the waterfalls leaves the visitors spellbound. 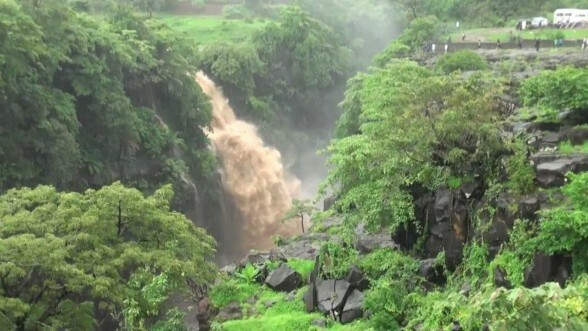 The beautiful falls is visible only when water is released from the Bhandardara(Wilson) dam. Once the gates are opened, the flowing water from the big rock forms a shape of an umbrella, hence called as umbrella falls. But this happens only when dam is full and it's raining continuously. Monsoon is the best time to enjoy the unspoilt beauty of theUmbrella Falls. Due to rain the water level is high and thus, the falls are a treat to watch. The water from the falls is also used for the generation of hydro-electric power. 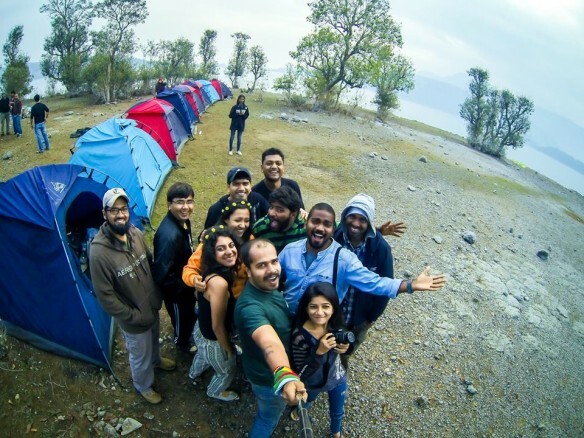 Bhandardara provides plenty of opportunity for small treks and hikes for adventure lovers.From Bhandardara, one can climb up to see the Ratangad and Harishchandragad fort. Or, you can follow the trails that lead to Ajoba and Ghanchakkar peaks. Also, if you are up for a challenge, the highest peak in Maharashtra, Mount Kalsubai (1646 m), stands tall for you to conquer. Standing at the summit, you can have a panoramic view of Sahyadris and Bhandardara. 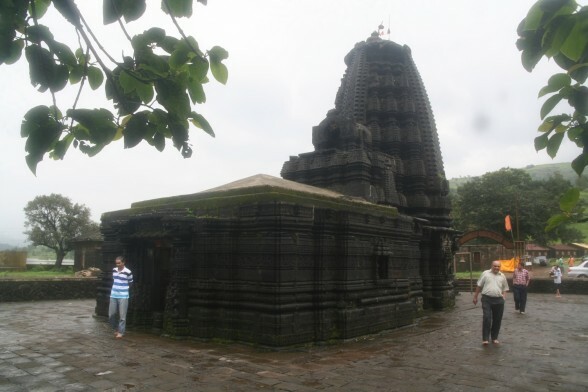 Bhandardara is also a hot-spot for the religiously inclined, who visit the Amruteshwar Temple an ancient Shiva Temple built during the 11th century and is located in Ratanwadi village. Apart from being a religious place the temple is an interesting place to study and admire the unique architecture and carvings of the temple. 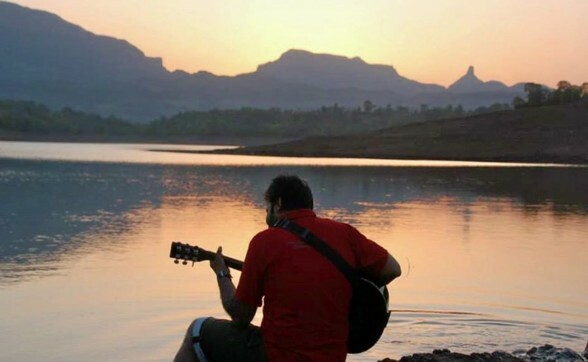 Bhandardara is ideal for all kinds of tourists. If you are an adventure lover there are ample walks to take, sights to explore and peaks to scale. However, for the laid-back tourist, there is the option of cozying up in a chair with a book, or taking a leisurely walk by the lake. 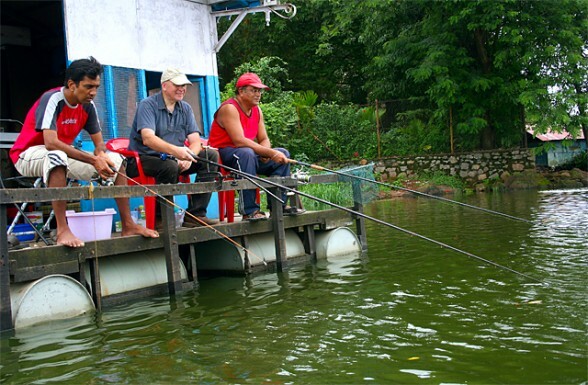 You can also bring your line and tackle along and find a suitable spot for some angling. The lake offers great opportunities for anglers. With just the right combination of patience and luck, you may secure yourself a good catch. There are jeeps and rickshaws available at the village square in Shendi, just 3 km away, to take you on a tour of the predetermined points of interest around Bhandardara.Tourist can also their set your own itinerary and take the hired jeep only to places of their choice. The best way to explore Bhandardara’s beauty is to take walks along the shores of the lake. After the first monsoon showers, with the valley shrouded in a green veil and the lake overflowing with water, the views are simply spectacular. Furthermore, there are local guides that usually hang around the MTDC resort, who are willing to show you around for a nominal fee. They are the best choice if you have a car and driver at your disposal and their knowledge of the area is pretty extensive. 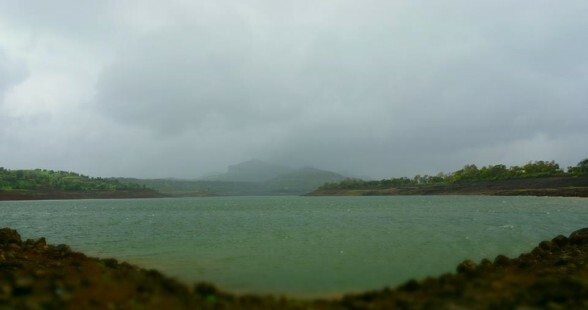 Monsoon and winter season is the best time to Bhandardara. The place is famous for 3 major attractions dams, waterfalls, and trekking to mount Kalsubai, all are related to water and rains. Winters are extremely cool, but precautions must be taken during summer as the climate is quite hot. 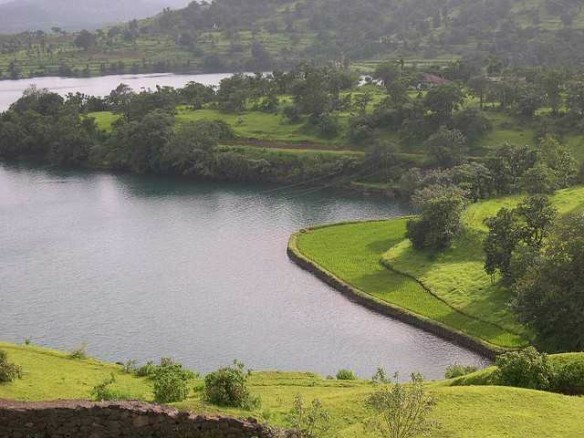 Bhandardara is located near a small village called ‘Shendi’ in Ahmednagar district and can be reached by road and rail. By Road : At a road distance of 149 km (Via National Highway 3, State Highway 44) and 163 km (Via National Highway 222), time taken to reach Bhandarda is about 3 to 4 hours depending on your mode of travel i.e. private / rental car or AC buses. Tour operators from Mumbai ply up to Igatpuri station and from there tourist can board anMTDC/S.T. bus or hire a local vehicle like cab / auto. 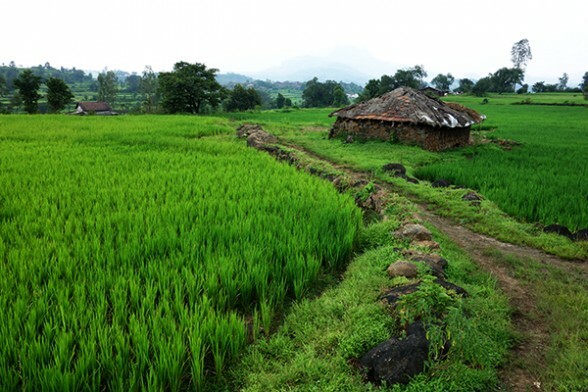 From Igatpuri, Bhandardara is at a distance of 45 km and takes about an hour to reach. By Railway: Nearest station is Igatpuri which is about 45 kilometers on central railway route. Once you reach the station, follow the MTDC or ST bus as mentioned above to reach Bhandardara. By Road: The distance between Pune and Bhandardara is 162 km via NH50. It can be reached in approximately 3.5 to 4 hours. One can opt to drive through NH50. This route involves driving from NH 50 to Narayangaon. After that, one has to take Otur-Ozar Road to NH222, and then drive along MH SH21 and MH SH44. There are 2 more routes that lead to Bhandardara from Pune. One involves driving via Rajya Mahamarga 46 while the other goes via Kopargaon-Shirdi-ahmednagar-Pune Highway. By Railway: Board a train from Pune to Igatpuri. The total length of this stretch is 133 kilometers by train. After reaching Igatpuri, tourist can hire cabs, taxis or MTDC/S.T buses in order to reach Bhandardara. There are now many hotels and resorts that offer comfortable accommodation at Bhandardara. Some of the best hotels and resorts are situated around the lake and waterfalls making the stay even more memorable. Budget hotels are also available and there are small lodging located on the outskirts of Bhandardara. There are limited options for eating in Bhandardara. However, there are numerous food stalls offering misal pav and vada pav. Tourist can try out traditional home-cooked food prepared by locals, varan bhat (dal-rice) is easily available but can be spicy. MTDC offers a multi-cuisine menu and tourist can choose from the vegetarian, non-vegetarian, Chinese and tandoor items on the menu. Recently many new hotels and restaurants have come up in Bhandardara due to the increase in tourism. Bhandardara is also famous for sweet peda which is easily available at every nook and corner.